East Troy, WI - Today a national ad hoc coalition, Awareness for Victims of Canine Attack (AVOCA), releases its first Public Service Announcement to kick off the very first Canine Victims Awareness Week, November 9-15, 2014. 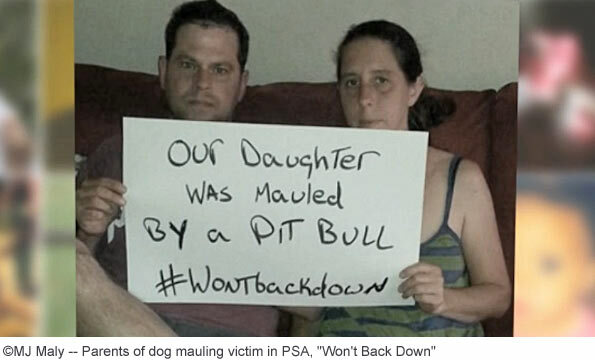 The PSA titled, "Won’t Back Down," was conceived as part of an ongoing campaign to help prevent fatal and disfiguring dog attacks, according to their news release. 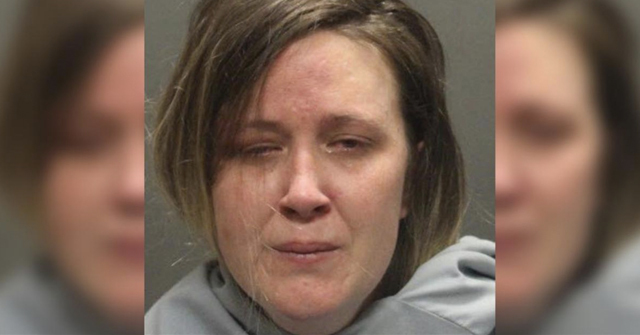 The video is located on the AVOCA website: www.VoicesoftheVictims.org. 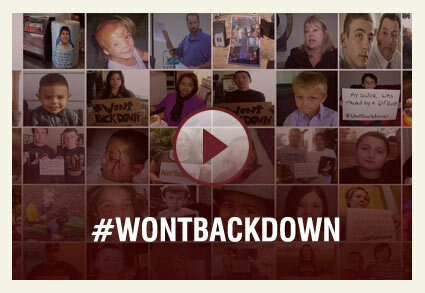 The emotional PSA features dozens of photos of family members, dog attack survivors and community safety advocates holding signs with the hashtag #WontBackDown. Grieving family members, survivors and advocates appearing in the PSA come from 16 different states including, Alabama, California, Florida, Kentucky, Maryland, Michigan, Minnesota, Mississippi, North Carolina, Ohio, Oregon, Pennsylvania, South Carolina, Tennessee, Texas and Wisconsin. Readers will recognize some of these survivors and advocates from serious and fatal dog attack stories published on the DogsBite blog. The filmmaker, MJ Maly, works in the advocacy movement under a pseudonym. Maly was moved to help victims raise awareness about this public safety threat after friends lost their child in a violent pit bull attack. 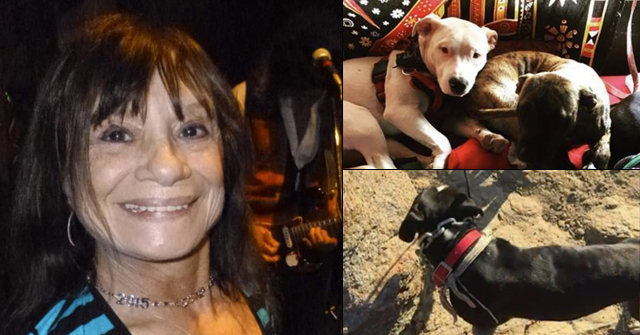 The filmmaker has chosen to stay anonymous, according to the news release, to avoid being targeted and harassed by pit bull promoters, as has happened to other advocates who have spoken out against the dangers of keeping fighting breeds as family pets. Why Do They Target and Harass? This harassment is not limited to advocates either. 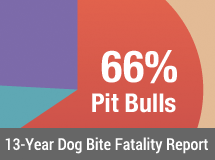 The same abuse is unleashed on television news stations, national and local news publications and the individual reporters themselves who report the alarming number of fatalities, maulings and "bite" statistics attributed to pit bulls. 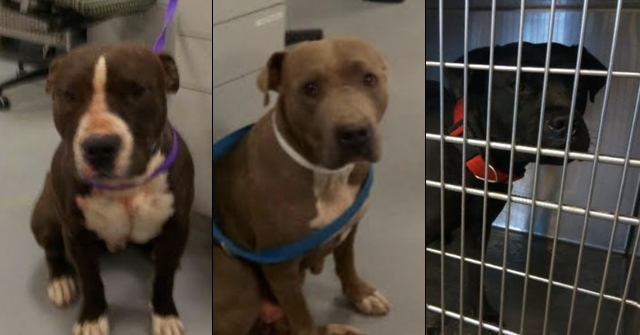 The abuse is also directed at animal behaviorists, expert trainers, shelter workers and animal publications that speak frankly about the "well earned" dangerous reputation of the pit bull breed. Since the launch of DogsBite.org in October 2007, we have seen this harassment escalate and grow more venomous in social media attacks. It has grown from infantile emails to DogsBite, "We've reported you to the FBI," to damaging professional reputations. Why do the pit bull promoters do it? To silence people and organizations about the dangerous breed issue. Such practices have been delivering good results for the promoters for 30-years. Why stop now? Especially since it is easier than ever today to harm personal and professional reputations due to the Internet and social media. The title of the PSA, "Won't Back Down," is a very apt title for today's era, as new victims' groups form, formerly quiet advocates speak out and a growing body of evidence proves to many media members that -- "Good dragons under the control of bad people do bad things"2 -- is nonsense and serves only to inflict more preventable, horrific injuries on innocent victims. Today's era should strike fear into the hearts of the promoters: There are many of us now and We Won't Back Down. 1New law reigns in Maryland, but the value of the Solesky decision in 49 other states is not lost. Learn more. 2The quoted phrase is from the "rebuttal" to the June 2014 Time article by Charlotte Alter (The Problem With Pit Bulls). The rebuttal is so packed with 1980s and 1990s pit bull fallacies, that we are not even linking to it. Yay, it's about time. Tired if these Pitbull 'Mafia' bully's intimidating people. Pitbull kill and maul humans and other pets and livestock everyday. They 'don't' back down or give any warning before attacking. They don't stop till death occurs, even if it's their own. Internally motivated and rewarded by killing and the taste of blood. They are in an animal species all their own, not to be considered a dog, and belong behind bars. Sick of being scared!! Keep up the good work, DBO. The tide is turning in our direction. And it will soon become a tsunami!